Dietary patterns can help predict health later in life. 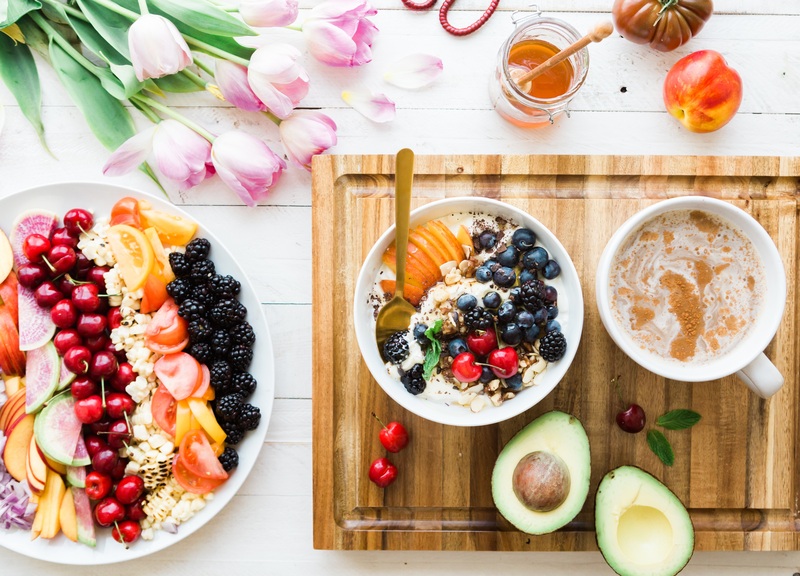 Instead of saying 'diet' I like to use the term 'eating pattern' which refers to the quantities, proportions, variety or combinations of different foods and beverages that are habitually consumed over a long period of time. The Mediterranean eating pattern is associated with a lower incidence of mortality from all causes in addition to a lower incidence of cardiovascular disease, Type 2 diabetes, certain types of cancer and neurodegenerative diseases. There are also positive associations with blood pressure, cholesterol, inflammatory markers and body mass index. Mediterranean All-Stars- add these nutritional powerhouses to your meals more often. Healthy Fats- this includes olive oil and avocados (monounsaturated fats) as well as nuts, nut butters and seeds (polyunsaturated fats). Fish/seafood- a good goal is to eat fish twice a week to reach your omega-3 fat needs for heart health benefits. Good options include salmon, sardines, mackerel, herring, mussels, clams, oysters and shrimp. Yogurt- look for Greek yogurt which delivers twice the protein of regular yogurt and can be used in place of butter, cream cheese, sour cream and oil in your favorite recipes. Beans- a great source of protein and fiber, swap beans for meat a couple times a week for meatless meals. Whole Grains- swap out white rice and pasta for nutrient-rich grains like farro, barley, bulgur and quinoa. They can be used in salads, stir-fry, soups and wraps. Since these are unrefined, you will be getting healthy fats, B vitamins, minerals, fiber and protein. Vegetables- vary your veggies and eat a variety of colors. Instead of chips and dip try this Mediterranean inspired dip with raw vegetable strips for dipping. In a small bowl, stir together hummus and Greek yogurt until well mixed. Transfer mixture to a serving platter. Spread mixture out, top with tomatoes, cucumbers, red onion and olives. Season with fresh or dried herbs, fresh cracked pepper and salt if using. Adjust seasonings according to taste. Drizzle with olive oil. Serve with carrot coins, celery, bell pepper strips, pretzels or pita bread. Recipe adapted from: Susan Glassman, nutrition and wellness educator serving Bureau, LaSalle, Marshall and Putnam Counties. I intend to include more Mediterranean All-Stars into my eating plan.